Today marks two years since my dad died. Two years. It is Sunday and I'll gather to worship with the congregation I serve. We are celebrating the twelve days of Christmas. We'll sing carols and read lessons. We'll remember that God is with us. We'll give thanks for the Word made flesh. And I will give thanks for the Word that lived and loved and claimed my dad. For all eternity. In giving thanks for my dad today, I share the reflection I offered at his memorial service. During my senior year in high school I had written a paper on a “Remembered Person;” someone who could be living or dead. I chose my step-dad, Bill. We knew he was dying. I then shared those words I had written with the congregation at the memorial service. Today, for my dad, I didn’t have a school course paper to read from. And I don’t know if I would have chosen my dad because for the last few months I have failed to acknowledge how sick my dad was. I didn’t want to imagine a life without him. I couldn’t bring myself to think of the day that I couldn’t call him up on the phone with a car question or some mechanical problem. Or just to share with him about my Sunday service and what he heard that morning from the sermon at his church. And now I find myself at a loss - loss of a father, loss of words, loss of faith. And then I hear my dad telling me, “Don’t forget to wear your boots.” For two years while I was in Africa, without fail at the end of every phone conversation (sometimes weekly) and at the end of every letter he sent me, I read or heard, “Don’t forget to wear your boots.” He was concerned for my health – for snakes, for cuts, and infections, and for hippos. He loved his daughter. If I was preaching and using these words from my dad, I would somehow make a theological connection, find some Gospel truth to them – and I’m sure there is – but today I just remember my dad and his love for a daughter. Love that spent hours with me learning how to drive and then ensuing car trips just to drive and be together. Love that could always make new friends and talk to anyone. Love that would sing a favorite show tune or jazz standard at any moment. Love that could talk for hours of trains and cars and squeal with delight at the sight of a classic car. Love that cried at romantic comedies and relentlessly denied any such tears. Love that adored board games and adamantly encouraged hand washing before beginning the game and touching any of the pieces. Love that always told me things would be okay and to not worry. A love that will walk with me. A love that did not die Thursday morning. Don’t worry dad, I’ll remember to wear my boots. Really. It's not a laughing matter. As afraid of the dark as checking-under-the-bed-and-making-sure-the-closet-doors-are-fully-shut afraid of the dark. Afraid of the dark as being in the basement and turning the lights off and not looking back running out of breath up the stairs for fear of anything reaching out to me. Afraid of the dark as never walking in a cemetery alone. Afraid of the dark as the youth are who play sardines in the church building in the dark holding on to one another, jumping at each turn. Afraid of the dark as turning on every light in the house when alone. Afraid of the dark never locking myself in a dark bathroom. Yet tonight, gathered in the darkness, here we are. Gathered to give thanks for the birth of the Christ child. Gathered to greet this babe born in a manger. And it's night. And it's dark. And I'm afraid. the darkness still feels all-encompassing. it has a voice of its own. Darkness seeping into my bones bringing fear. The darkness of the night that knows no bounds. Darkness. Darkness in our world where people are yearning for food and shelter. Darkness where too much violence and hatred is known. Darkness in our shortsightedness and unwillingness to compromise. Darkness in feeling completely at a loss. but a darkness that has been a part of our lives this year. A darkness in community saying goodbye to beloved members. darkness in missing a family member. A darkness in the heart yearning for forgiveness or the courage to forgive. Darkness in the fragility of life. Darkness in wondering what our callings in life are and whether we'll ever fit in. Do not be afraid - the light has come into the world. Do not be afraid - the light has come for you. For even the wisest of men were drawn to search for the light and walked from lands far away. For even the shepherds of the fields were greeted by a heavenly chorus of angels. For even Mary and Joseph birthed the light into the world for each of us. For even you and I, the light shines in the darkness. So you ask, Pastor, are you still afraid of the dark? and offer myself to the light. and reaches to the farthest depths to bring light to a world in need. I am in awe of the light because nothing, nothing, can ever destroy its power. A light and a love so great it is beyond human understanding. I am in awe of the light because it’s the only truth that will tell me my worth isn't bound to anything I do or accomplish or say, no, the light tells me I am loved for being a child of God. the light brings me back into community where I am known and loved. I stand in awe-some wonder of this light. This is the gift of this night. That the light, Jesus Christ, has come into the world. Born in a manger for you and for me. Born to be our savior. Born to be light for the world so that nothing will bring us down and nothing will tell us we’re not good enough. Born to be light for the world to know that we are each God’s beloved child. There are some days when the words just don't come. There are some days which are so full of God's presence that it's almost too much to take in. There are some days when all one can do is simply say, "Amen." Baptisms are definitely one of those days. 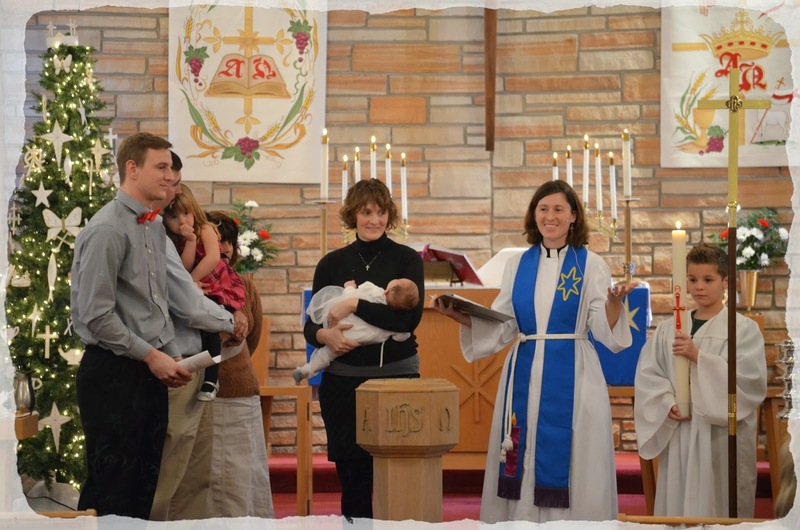 Last week, Christ and Trinity Lutheran celebrated with Lilly Logan and her family on her baptism day. It was a day where we publicly gave thanks for being called and claimed and marked as children of God. Getting ready for the day, I shared with the confirmation students and invited them to write letters to Lilly. Their faithfulness and love is beyond words. When you are baptized, you become a child of God and become forgiven. You are cleansed by the purifying waters. May God cleanse your soul. We love you. 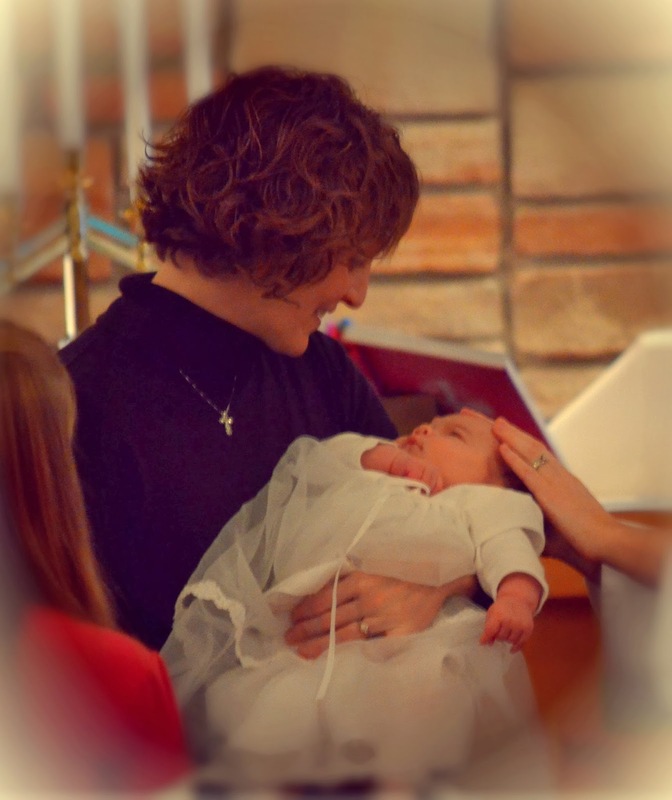 You will LOVE to be baptized! You might not think about it much and what it will mean to you, but it means a lot. You will feel cleansed, loved, and forgiven. God, who is rich in mercy and love, gives us a new birth into a living hope through the sacrament of baptism. By water and the Word God delivers us from sin and death and raises us to new life in Jesus Christ. We are united with all the baptized in the one body of Christ, anointed with the gift of the Holy Spirit, and joined in God's mission for the life of the world. Lilly, child of God, you have been sealed by the Holy Spirit and marked with the cross of Christ forever. join us in giving thanks and praise to God and bearing God's creative and redeeming word to all the world. 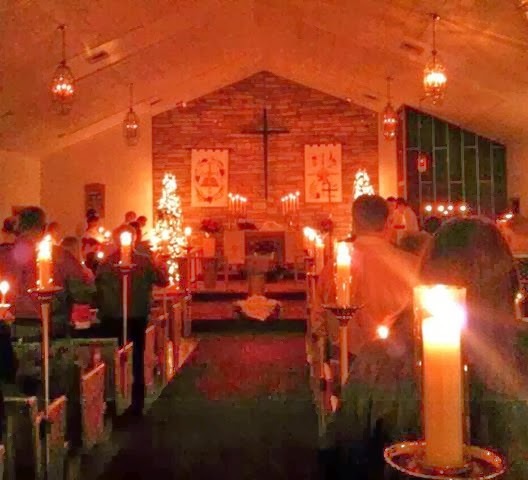 On this first Sunday in Advent I cannot hep but reminisce about what I've learned in the last three years at Christ and Trinity Lutheran. Three years ago I first set foot in Sedalia, Missouri. Prior to my interview with the call committee, I had never even heard of Sedalia. It was indeed a call and the work of the Spirit. After being picked up at the airport, I drove an hour and a half with two members of the congregation and began to learn about these people and this community. Arriving in Sedalia when I stepped outside the vehicle at the Best Western Hotel, I immediately noticed a distinct, unfamiliar to me, smell - manure. It was Monday and the auction house across the street was in the middle of the cattle auction. Welcome to Missouri, I thought! Three years ago, the congregation and I, could not have predicted how God would continue to work in our lives. I couldn't have predicted the depth of love, and grace, and forgiveness. I couldn't have predicted the maturing together into pastor and congregation. I often look out into the congregation Sunday after Sunday and remember the first time I met the people as they visited the church. I have memories of awkward conversations, getting to know you questions, and the invite for a cup of coffee or tea to share stories. I remember the stories and the longings and the hope for community. Almost 50 years ago, the ground was broken for the church building where we gather week after week. Talking with one of our older theologians, Iva, she shared about being at the land for the groundbreaking of this new church building. I imagine she could not predict how God would work in the lives of the people to come. Iva couldn't have predicted all the children, adults, families, widowers, and singles who would come together week after week and be formed into a community. Could she have pictured the lives changed? The lessons and songs and prayers and sermons? The bread and wine freely given? Each Sunday, I am in awe. I could not have predicted how God would bring such diverse and loving people into community. I could not have predicted the blessings and wholeness that has emerged. And on this first Sunday in Advent, at the start of this time of waiting and preparation, I look forward with hope to what is to come. I look forward to the continued unexpected blessings. I look forward to the daily living and breathing and being in community. I look forward to the Spirit continually at work in the world. For when so much seems uncertain and so much fear resides among people and communities and countries, gathering week after week makes a difference. 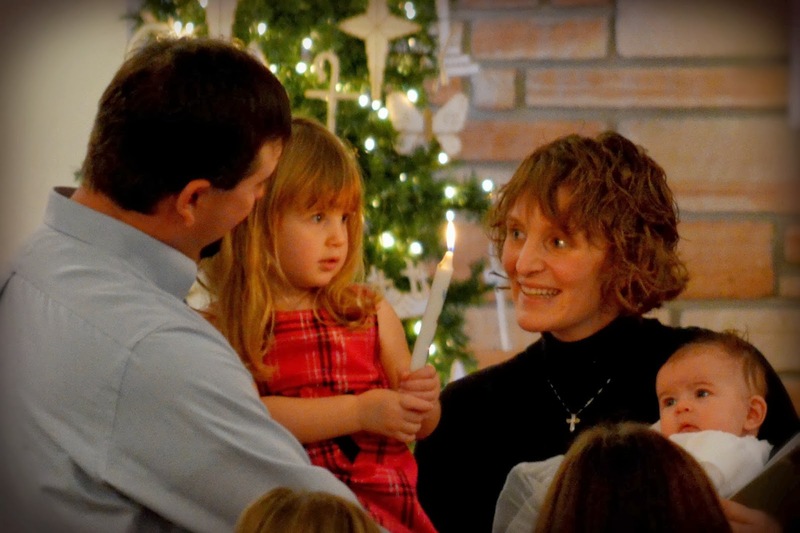 Singing songs, offering prayers, baptizing, loving, forgiving, eating, and drinking makes a difference. And only God knows the fullness of such simple, yet radical, acts. I don't know what the next months and years will hold. But each Sunday when I look out into the congregation, I am positive that I know who holds us all together in community. I can not predict what will come, but I can, with confidence, trust in the One who has already come.